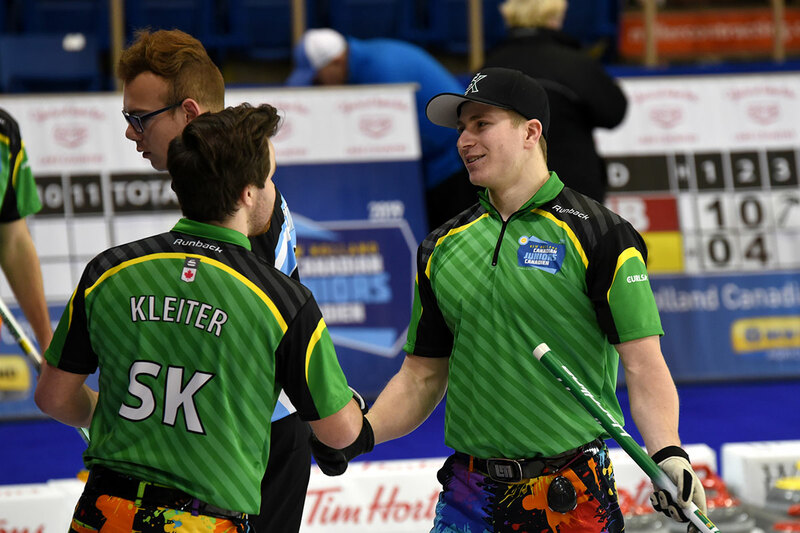 Thursday was a big day for Team Sask Men’s as we defeated the Northern Ontario team in the morning. Rylan drew to the four foot with his last rock in the 10 th end. Exciting to say the least. 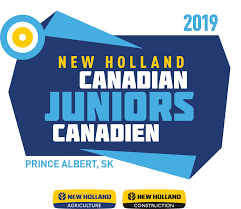 We then played Team Nova Scotia at the Prince Albert Curling Club in the afternoon and came out with another victory putting our record at 8-1. At the end of Thursday we were assured of a second place finish overall and a spot in the semi final. We had a short practice at 10 pm Thursday, then back to the hotel for our daily debrief and then off of bed as we play Team Manitoba Friday morning. Once again we would like to thank all of the volunteers, Curl Canada officials and all the fans cheering for Team Sask. The ice has been fantastic all week. Thank you to the ice technicians as well. Rylan Kleiter (left) & Trevor Johnson (right) celebrate after a win (Photo Courtesy Melanie Johnson/Curling Canada).